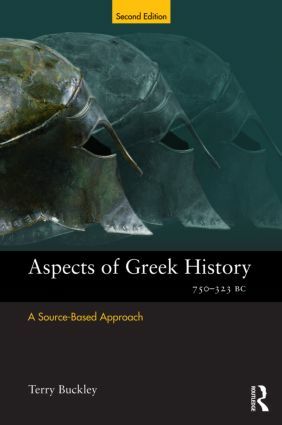 Aspects of Greek History 750- 323 BC: A Source-Based Approach offers an indispensable introduction to the central period of Greek History for all students of classics, from pre-university to undergraduate level. Chapter by chapter, the relevant historical periods from the age of colonization to Alexander the Great are reconstructed. Emphasis is laid on the interpretation of the available sources, and the book sets out to give a clear treatment of all the major problems within a chronological framework. This new edition brings the book up-to-date with the latest scholarship and includes a more detailed study of Sparta, Delian League, and the Athenian Empire, expands the range of sources examined, and offers an extended discussion of the growth of Athenian Imperialism towards Samos, Mytilene and Melos. maps, a glossary of Greek terms, and a full chapter-based bibliography. Aspects of Greek History is an invaluable aid to note-taking, essay preparation and examination revision.